We will close today 23rd of December and reopen on the 2nd Jan 2014. Thank you to all who have continued to support us in 2013. We look forward to continued growth and partnership in 2014. If you need to contact us over the Christmas break Just ring main line 021 7334066. 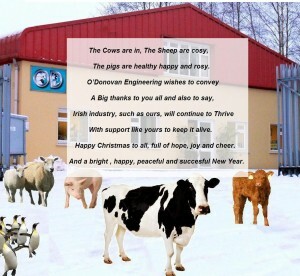 Merry Christmas and happy new year from all at O’Donovan Engineering.